Shares of Facebook (FB) are slipping by 1.43% to $122.53 early Tuesday afternoon, as the social media giant launches "Instagram Stories" on its photo-sharing app in direct competition with Snapchat. "(Instagram CEO Kevin Systrom) sees it as a type of new format," New York Times' Mike Isaac said on CNBC's "Squawk Alley" Tuesday. Isaac added that Systrom did not deny to him that he took the idea for "Instagram Stories" from Snapchat. 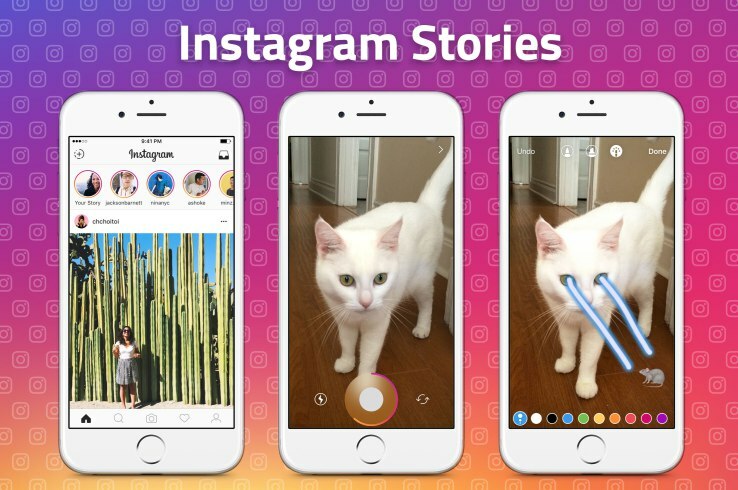 Instagram's new feature allows users to share photos and videos that remain accessible for 24 hours only, much like its rival disappearing messaging and image app Snapchat. "If you think about how Facebook and Twitter (TWTR) pioneered the scrolling news feed, (Systrom) thinks stories will be a sort of similar thing," Isaac explained. Isaac expects more companies to now follow Facebook's lead in introducing this type of disappearing message platform. "Now is that a rationalization just to clone one of their biggest competitors? I don't know, you tell me, but that seems to be the explanation," Isaac commented. TheStreet Ratings rated Facebook as a "buy" with a score of A-.